Let’s take a last, long look at the final six Japanese Godzilla films. How does the Millenium Era stack up against the rest in the Godzilla challenge? For those just joining us, the original Japanese Godzilla films span 50 years and three distinct categories. The first and largest category is the Showa Era, named after then Emperor Hirohito and falling between 1954 and 1975. The franchise took a break until 1985, which kicked off the Heisei Era, once again named after an emperor, and ran until 1999. Now we find ourselves at the final stop of the journey, the Millenium Era, named after the Empe—oh, wait—named after the fact that they began in December of 1999 at the dawn of the new millennium. And let’s face it, that’s a catchier title than the Y2K Era. I loved the Showa Era but was disappointed by the grimness and realism that pervaded the Heisei era, so I’m absolutely thrilled to report that I found the Millennium Era to be a happy combination of the Showa and Heisei movies and had a great time with every single film…with one exception. But we’ll get to that. For the most part, I’m happy to say that yes, Virginia, there IS a Santa Claus, and he’s putting the Millennium Series under the tree this year. Kicking things off with style is Godzilla 2000, directed by Takao Okawara, who was responsible for three of the seven films found in the Heisei Era. I didn’t like what he did in those films or the darker tone that they took, but I find myself loving Godzilla 2000. I’m not sure if the tone shift was deliberate or just occurred naturally as the corporate attitudes of the 1980s and 1990s gave way to a new, freer world. Godzilla 2000 represents a hard reboot in the series. We previously saw a reboot back in 1985 with The Return of Godzilla (Godzilla 1985), which ignored every movie outside of the original 1954 film, and that’s exactly what this film does, jettisoning anything happened between the monster’s first attacks on Japan after World War II and 1999. Godzilla is once again a force of nature (how many times have I written that sentence in the last few months?) and isn’t good or evil, he’s just Big-G. It ain’t his fault that he’s all big and radioactive, y’all. Everybody needs love. Things get kicked off when a prehistoric UFO is discovered at the bottom of the sea. It’s not clear if the vessel is a container for entities or if it is an entity itself, but you know that Godzilla’s about to get all caught up in the drama because he can’t help but be in the wrong place at the wrong time. The plot is almost inconsequential, and you can take comfort in the fact that all the elements you want in a Godzilla flick are present here, including the terrible lizard taking on the army, another kaiju (the debut of Orga), and even a renegade scientist. More important than the plot are the decisions which make this film such a success. First, we have the return of whimsy (whimsy is not a kaiju…yet). It’s been a while since we got a Godzilla movie that didn’t take itself seriously and told the audience that they could have fun and laugh during the movie. There are kids in every single film of the Millenium Era and there seems to have been a conscious shift to get this train back on the family track. I think that’s a GREAT thing. This movie finds itself in a post-Independence Day world (it feels very much like ID4 and similar Hollywood blockbusters), and also in a world where the director of Independence Day screwed up Godzilla so badly that the Japanese film industry realized that if you wanted something done right then you had to do it yourself. Thankfully, though, the filmmakers avoid the folly of the 1998 American Godzilla film and retain the themes and charms that make the character resonate with audiences all over the world. They also avoid the overuse of CGI; computer imagery is present throughout the film, but it almost always supplements the practical effects that we’ve all come to love. Models, miniatures, and men in rubber suits aren’t replaced by the aid of computer graphics. Instead, they’re enhanced by them. When the Godzilla theme starts to play for the first time near the film’s climax, it’s like coming home. Godzilla 2000 goes back to basics, but basics never felt so good. The very next year Godzilla was back in 2000’s Godzilla vs. Megaguirus. Like the previous film, this one introduces us to another new monster that must be vanquished. Megaguirus is a great creature, starting off as an egg, then morphing into something like a jumbo dragonfly, then moving onto a phase where it splits itself and becomes thousands of those dragonflies. The final form of the baddie is Megaguirus, which we’ve never really seen before, and I appreciate the effort that went into bringing new formidable opponents into the series. 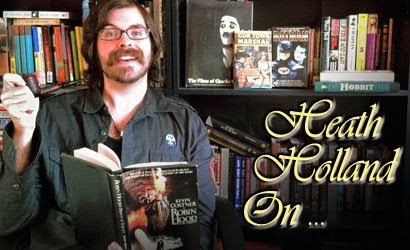 Kitsch makes a return to the series with even more out-there ideas than we saw in the previous film. We meet the G-Grasper Unit, a counter-Godzilla team who are developing technology that would allow them to open a miniature black hole to capture Godzilla. That plot (and this movie) would have been perfectly at home in the 1970s and the added little bits of quirkiness only enforce that. There’s an airship that looks like something out of the G.I. Joe universe and an underwater ship that looks like it would fit right into Voyage to the Bottom of the Sea. Plus, there are tiny little robots that can prepare sushi. See? Kitschy! I give the director, Masaaki Tezuka most of the credit for this. Remember that name, because it’s going to come up again later. The film feels old and new at the same time; there’s tangibility to the creatures and environment (and lots of very visible strings on the monster models), but it still uses modern filmmaking techniques to deliver the goods. It’s a warm blanket: you know you’re in for a great adventure and don’t have to worry about seeing too much violence or carnage. That being said, there are a couple of killings in the movie that surprised me by their graphic nature. Overall, though, it’s an old fashioned creature feature dressed up in new trappings. Even the score feels classic and oddly comforting, like something out of an Amblin movie. 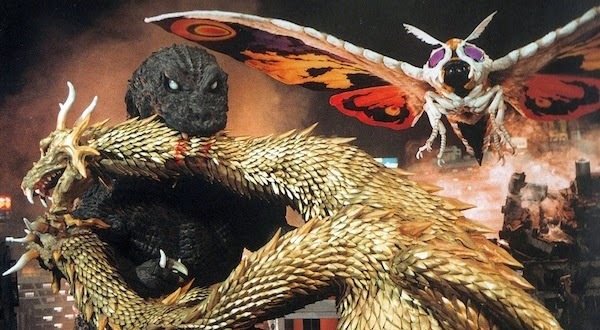 With the last several films pitting Godzilla against original foes, the time was right to bring out the big guns, and that’s just what they did with 2001’s Godzilla, Mothra and King Ghidorah: Giant Monsters All-Out Attack. There’s also a monster named Baragon in the movie, but apparently he isn’t important enough to make the title. This is another hard reboot that ignores everything after the original 1954 film and attempts to do the same thing that 1974’s Godzilla vs. Mechagodzilla does, which is establish mystical protectors who will awake to save the planet when it needs them the most. In that original movie, King Caesar was the guardian; this time, it’s Mothra, King Ghidorah, and Baragon. Or MoMo, Giddy-Ray, and Barry Gun, as they’re friends call ‘em. When Godzilla comes to town, these three musketeers aren’t about to let him trash Tokyo without a fight. It’s interesting (disappointing?) to see how Toho took existing monsters with clearly defined origins and rewrote those origins to suit their own purpose. Ghidorah, for example, was an ally of the evil aliens from Planet X, but is now a guardian defender of Earth. To my eyes, this film is a bit grittier than the previous two, or at least more grounded and less fantastical than before. There also doesn’t seem to be all that much of a plot, outside of the guardian defender bit. And why these monsters? It could be anyone filling these roles. As you can see by how they’ve been repurposed from their original origins, there’s not much of what made fans love them on screen. They’re only there to fight Godzilla and sell movie tickets. And chew bubblegum. I’m not against this movie, but I think it’s lacking the magic that the two before it had. I don’t appreciate the return to a more serious tone. Not bad, though. The next two movies serve as back-to-back chapters and work together. Godzilla Against Mechagodzilla (2002) and Godzilla: Tokyo S.O.S. (2003) were both directed by Masaaki Tezuka, the guy who helmed Godzilla vs. Megaguirus and brought in all that wonderful kitsch. First and foremost, Tezuka brings both films in at 90 minutes, which is much appreciated for this kind of movie. Second, both movies acknowledge events outside of the 1954 original Godzilla and even tip their hat to other Toho films that Godzilla wasn’t even in, like War of the Gargantuas (1966) and Space Amoeba (1970), both directed by Ishiro Hoda, the creative father of Godzilla. I’m big on directors who have genuine passion for the subjects of their films and Tezuka clearly loves the Toho universe. The third interesting thing that Tezuka does is establish the existence of multiple Godzillas over the years. The skeletal remains of the original 1954 monster are resting at the bottom of the sea while at least one different Godzilla monster still stalks the Japanese coast. It’s such a simple contribution, but it makes all the difference in the world. In Godzilla Against Mechagodzilla, it’s that very skeleton of the original Godzilla that scientists use as the frame for the new Mechagodzilla, meaning that this Mechagodzilla is PART GODZILLA. WHAT?! Amazing. It even has a name so we realize that this Mechagodzilla isn’t like any other: Kiryu. Rarely is it spoken of as Mechagodzilla, or Mecha-G. It’s almost always “Kiryu.” Without getting too spoilery, it’s worth noting that Mechagodzilla now has realistic motivations and doesn’t necessarily want to be a weapon or fight others of his species. All of this pales in comparison to the human storyline, which consists of a soldier who can’t live down her failure in a previous battle, a scientist struggling to balance his work with his role as a single father and widower, and his sad daughter, who misses her mother. These aren’t the most revolutionary story elements, but when placed in the framework of a Godzilla movie, they’re manna from heaven. You get all this, plus cool ships, a military-like organization with a super awesome logo, and a post-credits sequence that ties up all the loose plot points and reminds us that the story we’ve just seen was really about people and the value of human life. I love it. Even though the story is more or less resolved, Tezuka’s sequel (which he co-wrote) finds plenty of territory to mine, and Godzilla: Tokyo S.O.S. takes place directly in the aftermath of the previous film and marks a return to form for Mothra. This Mothra fits right into the lore established in the ‘60s. Tezuka’s respectful nods to the past continue with the return of actor Hiroshi Koizumi, a stalwart of the ‘60s Toho films, including the original 1961 Mothra. Kiryu/Mechagodzilla has been returned to duty, and the twin fairies that live with Mothra on Infant Island arrive to tell Kiryu’s creators that Godzilla would stop attacking Japan if they’d return the bones to the bottom of the sea. They also tell them that Mothra would gladly be their defender if they’d stop playing games with science, but that what they’re doing is upsetting her. This once again plays against a backdrop of human drama and sacrifice, and the two films together more or less sum up everything that the mighty Showa Era was all about. Instead of feeling grim and hopeless, they feel uplifting and optimistic, sweetly reminding us that life is for living and that mistakes can be learned from. These are themes of the entire Godzilla film series, but they’re summed up so nicely here, with the loving touch of an passionate filmmaker, that the series could have ended there and gone full circle. It would take a true misunderstanding of the material to end the Japanese series on a sour note after this. 2004’s Godzilla: Final Wars shows a true misunderstanding of the material and ends the Japanese series on a sour note. This ugly, obnoxious movie just never really slows down, and, at over two hours, it’s exhausting. The plot hinges on aliens unleashing the monsters of the world in an attempt to destroy humanity. While it’s great to see aliens (you can tell because they wear silver outfits and sunglasses) for the first time in around 30 years, and also great to see something like 15 different kaiju in the same film, it’s all WAY too much. The douchey tone of the movie doesn’t help. It’s not all bad. As weird as Don Frye looks in the film, I’m kind of into it. I think it’s his Magnum P.I. mustache and the fact that he doesn’t look like he belongs in this movie at all. 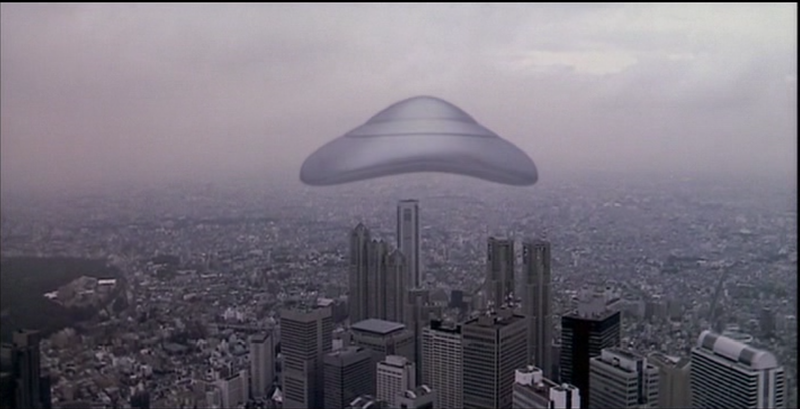 I like the aforementioned alien invasion plot, and I like that I get to see some monsters that only got one movie. King Caesar gets some screen time, and reminds me that he’s one of the coolest monster designs in the whole series. And Ghidorah appears again, closer to the original concept, but maybe even cooler. They even bring back Minilla, the baby Godzilla, even though it makes no sense at all. But the truth is that a lot more fails than works. The movie is full of MTV edits and recycled elements from other films. All the stuff cribbed from The Matrix, like the motorcycle chase and the 360 degree freeze frames are obvious, as is the stuff they stole from X-Men, but they even manage to work in a Death Star trench run taken DIRECTLY from Star Wars: A New Hope. The movie doesn’t bring a single original idea to the table. In fact, most of the time I’m embarrassed for the actors and the people involved. I can see myself softening toward the movie over time, kind of like I’ve softened to Jason X and the Jean Claude Van Damme version of Street Fighter, which Final Wars reminds me of A LOT. Now I know what it is and I can revisit it on some late night knowing that I won’t have to think at all, though normally I prefer my late-night kicks to be high concept and low budget, not the other way around. It’s not for nothing that Final Wars was a disaster when it was released back in 2004. In fact, it had the worst attendance of any Godzilla movie in Japan in almost 30 years. It’s also the most expensive entry in the Toho series. I’ve heard that Toho decided to put the series to bed because they felt like 50 years was a good run. Now I suspect it’s because they made such a stinker that they didn’t think they could get anyone to come see another one. And with a whimper, the Millennium Era comes to a close, yet I still find myself a G-fan 4 life. It’s all good, even when it’s not actually all that good. Here are some parting thoughts to tie it all together: I’ve been looking for themes and connective tissue in these movies since I started, and the best I can come up with (aside from the recurring themes of reconstruction, family, sacrifice, camaraderie, ethics, etc) is that they echo the hopes and dreams of the Japanese people. You can watch an entire society evolve and develop before your eyes. From a country struggling with modernity and progress in 1954 to skyscrapers and neon lights thirty years later, 50 years of human history resides in those films. It’s amazing, humbling, and very captivating. I don’t think there’s anything like it anywhere else. It seems like an awfully big mistake for a Hollywood studio to try and replicate what makes Godzilla so special and enduring. Ultimately, most of us westerners are observers of a phenomenon that we can appreciate and enjoy, but never truly grasp. 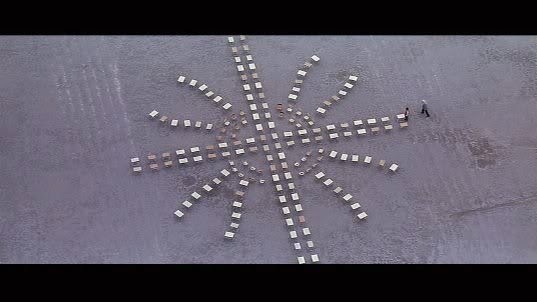 Even Final Wars, for all its failures, succeeds on some level because it’s an authentic expression of Japanese culture; maybe I’ve misread the movie because that culture is not a part of who I am, and therefore outside my understanding. Who knows? And to be clear, I don’t hate the two American Godzilla films, but I don’t really understand why they exist. We can try our best to capture what we think Godzilla looks and sounds like, but we are, ultimately, on the outside looking in. The hubris involved in attempting to take Godzilla, who was born out of an entire nation’s attempt to reconcile having their world torn apart, and trying to replicate that for mass consumption in an entirely different region of the world without the involvement of any of the creators who helped shape it, is far beyond my understanding. I genuinely hope that Toho starts to make Godzilla movies again in the future, as only they can. We have our idea of Godzilla, the subject of Hollywood films and cartoons and comic books. But only Toho has GOJIRA, the unstoppable force of nature that rises swiftly out of the coastal waters in the dead of night. Will he be hero or foe this time? Defender or devastator? There’s no way to know until he’s upon us. If Roland Emmerich's 1998 Godzilla had been called something else, like Check Out This Soundtrack: The Movie, then I agree with you that it probably would have fared better. There's not a lot there in terms of substance, but you're right. It would have been a decent spectacle movie for that time period. Great work Heath - quite a movie-watching/essay-writing achievement! It came on Bluray earlier this month. It's paired with Godzilla, Mothra and King Ghidorah. Thanks for the tip! Missed that somehow! I fancy that one too. It is a pity there is no Bluray. We will have to rough it on good olde Dvd. I still watch stuff on Vhs for nostalgia sometimes so Dvd is still nice if its a good transfer.